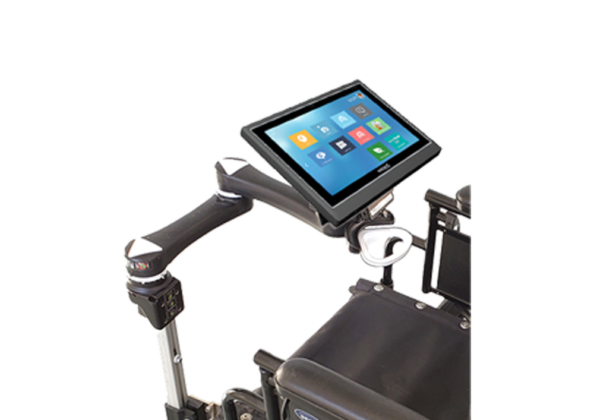 The DAESSY Mounting System is a component based system that allows for customisation and limitless configurations to meet mounting needs. 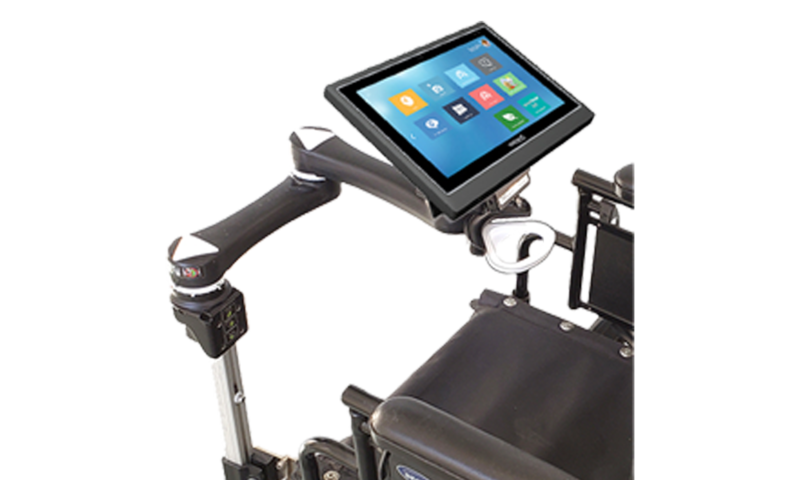 The core elements of the DAESSY Mounting System are the Standard DAESSY Wheelchair Mounts, the Desk Mounts and DAESSY Rolling Mounts. 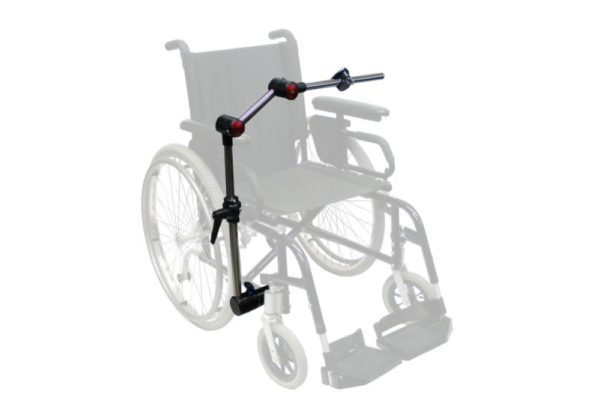 These mounts are available in a standard configuration, or can be modified with common variations, component substitutions or additions for more customisation at the user level. A built-in tilt plate adjusts from 0 to 90 degrees and anywhere in between, while handles provide easy-access, one-handed lock release and operation.